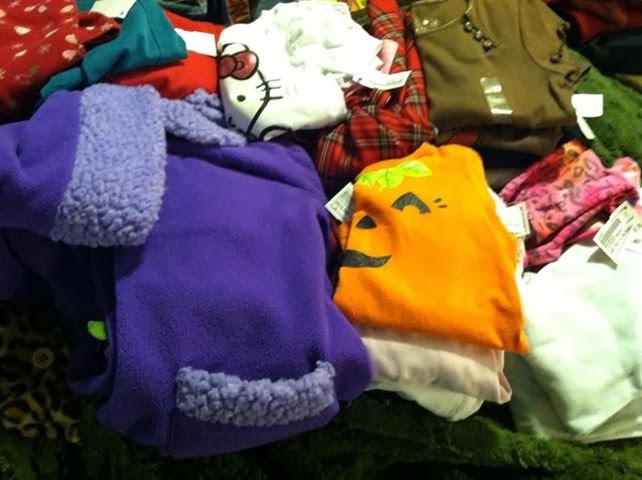 As I reported on Thursday, our local Once Upon a Child was having a $1 sale. This was my amazing haul for my preschooler from the sale (scroll down for more images). Penelope Mack Coat WITH HAT!!!!! Nanette Girl Coat and Shirt Set. 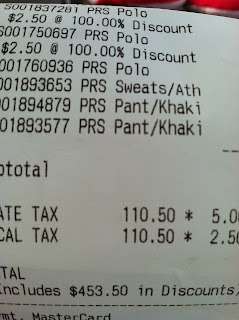 I also bought 3 pairs of "regular" priced pants (my son really needs pants) for $14.50 total. This is a photo of his clothes purchased today. My total for everything was: $110.50. Savings from the store was $453.50!!!! 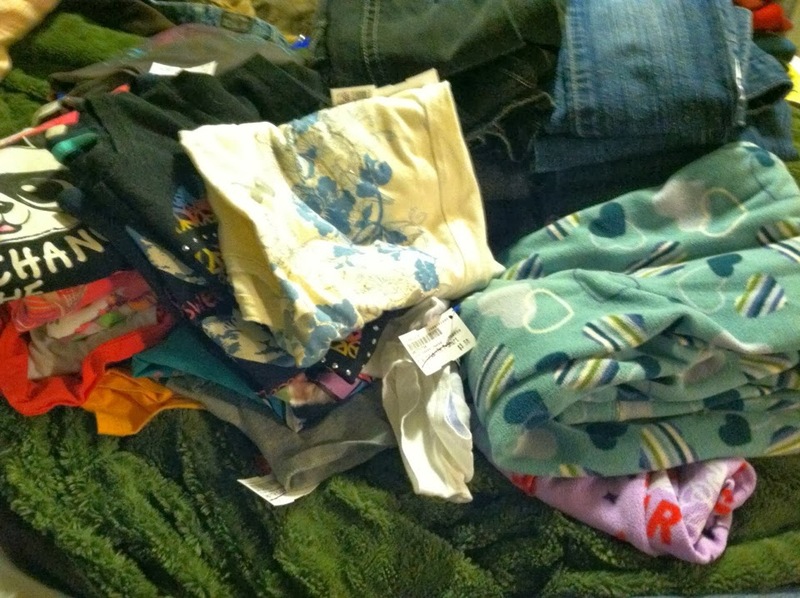 This is my tween's clothing chosen by her. In retrospect, letting my daughter and her grandmother choose her clothes by themselves may have been an error after 11 pairs of jeans (no dress pants) and 20 t-shirts (and no long sleeved shirts at all for next winter) and no long sleeved shirts at all. I bought one size up on all clothes, so this is their Fall wardrobe. 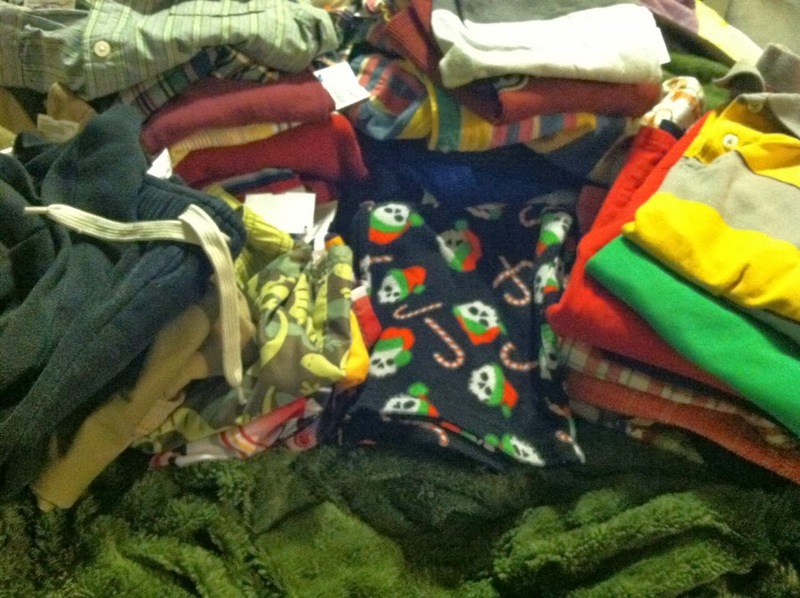 I will need to supplement with a few pairs of pants for my toddler, long sleeved tops for my tween, and pants for my son (as I noted in the previous post, pants are hard to come by around here at the re-sale shops). We love Once Upon a Child, and you can't beat it when they have the $1 Clearance!! What a great haul. We need some good sales on some warm clothes here. My boys have both outgrown their jeans. Wow, You did amazing! That is quite the savings. I also love to save money like this. 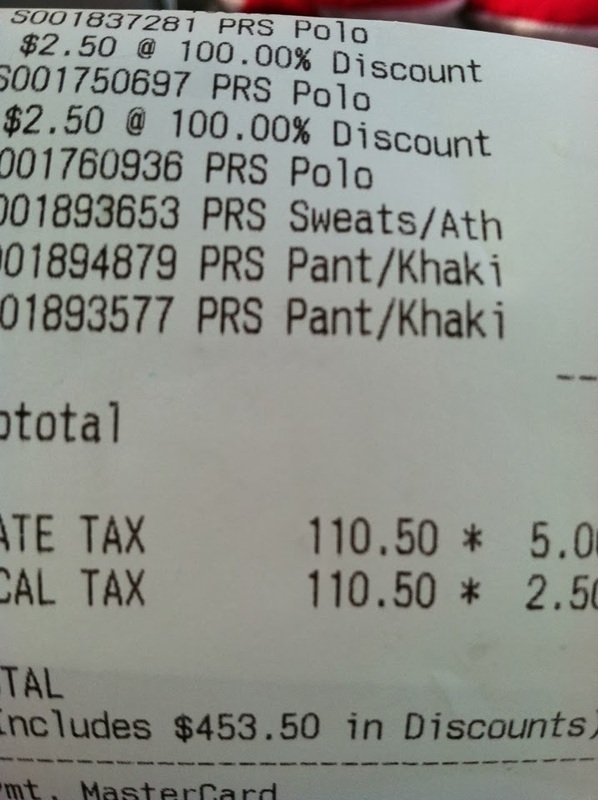 Kids outgrow clothes so quickly so it is great when these deals come along!! !